There are approximately 600 Asiatic lions left in the Gir Forest of Western India, their last remaining natural habitat. This small population survives in a tiny patch of forest where one disease epidemic or forest fire could wipe them out forever. There are only around 600 Asiatic lions left in the wild, living in the Indian state of Gujarat, Western India. The population largely live in the protected park area of the Gir Forest National Park and Sanctuary. The lions live closely alongside humans in their last remaining natural habitat, including the Maldhari community, who live within the Gir Forest. Some of the lion population live outside of the protected areas, amongst local communities in the surrounding farmland and hills. As well as the last Asiatic lions, the Gir Forest located near the town of Sasan Gir is also home to an incredible array of diverse wildlife, including langur monkeys, jackals, leopards, antelope, deer, crocodiles and over 300 species of birds. Why are the lions under threat? Majestic Asiatic lions once roamed across the Middle East and Asia, from Greece to Bangladesh, but by the early 1900s the species had been hunted to the brink of extinction so that only around 20 remained in Western India. Today there are just over 600 lions living across southern Gujarat. The small population is steadily increasing but the species is listed as Endangered by the International Union for Conservation of Nature (IUCN), as it is still vulnerable to many threats. An outbreak of contagious disease or natural disaster could have drastic consequences for the species. How is ZSL helping to protect the Asiatic Lion? Protecting the remaining Gir lions is crucial to enable the population to grow and ensure the survival of this irreplaceable species. ZSL is working with partners in India, including the Wildlife Institute of India and Gujarat Forest Department to safeguard Asiatic lions. Experts across ZSL have provided training, expertise and support to Asiatic lion conservation programmes in the Gir Forest. Thankfully, poaching is not a problem in the Gir Forest at the moment, due to dedicated and skilled forest rangers but it is always a potential concern with such precious wildlife. ZSL worked with the Gir’s rangers to implement a new patrol based monitoring system to give staff clearer and more scientific data on what is happening in the protected area, helping to identify threats and monitor activity. SMART (Spatial Monitoring and Reporting Tool) was developed by conservation organisations including ZSL and is a combination of software, training materials and patrolling standards to establish effective patrolling systems, monitor wildlife populations and movements and identify threats such as poaching or disease. Find out more about how ZSL trained Gir forest rangers in this blog. Learn more about SMART and where it is being used around the world to support conservation. Living alongside human populations, Asiatic lions in the Gir face threats from human activity. Local communities in and around the Gir Forest have learned to share their space with the growing lion population, however, in the past animals got trapped in local wells, or have come into conflict with humans. Vets from ZSL worked with local vet teams to share knowledge and help get systems in place to manage any potential disease outbreak which could wipe out the remaining Gir lions. They also trained vets to intubate anaesthetised lions to help them breathe, a technique ZSL staff learned from working with tigers, which could mean the difference between life and death for a sick lion. Sakkarbaug Zoo in Gujarat is home to nearly 50 Asiatic lions and is an important conservation breeding population. ZSL partnered with zookeepers and veterinarians at Sakkarbaug to share best practices in animal care and breeding. ZSL keepers shared enrichment techniques in the enclosures to encourage the lions’ natural behaviour, including scent marking and enrichment devices to elicit feeding, hunting and foraging behaviour. 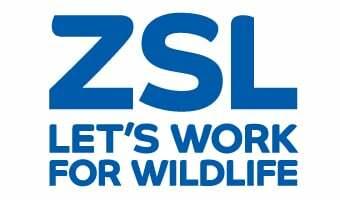 Teams from Sakkarbaug Zoo will also visit ZSL London Zoo and ZSL Whipsnade Zoo to shadow zookeepers and continue to learn from one another. Education is a key way to engage local communities in the importance of lion conservation. ZSL’s senior learning manager, Rachel Haydon, worked with staff at Sakkarbaug Zoo and other local conservation organisations to help shape their plans for the development of educational activities around wildlife conservation in the Gir Forest National Park. Find out more about Rachel’s trip to the Gir in her series of Discovery and Learning in the Field blog posts. Liontrust, the specialist fund management company, are proud sponsors of ZSL's Asiatic Lions Campaign. Find out how ZSL and its partners are working to protect the majestic Asiatic lion in the Gir Forest in India.